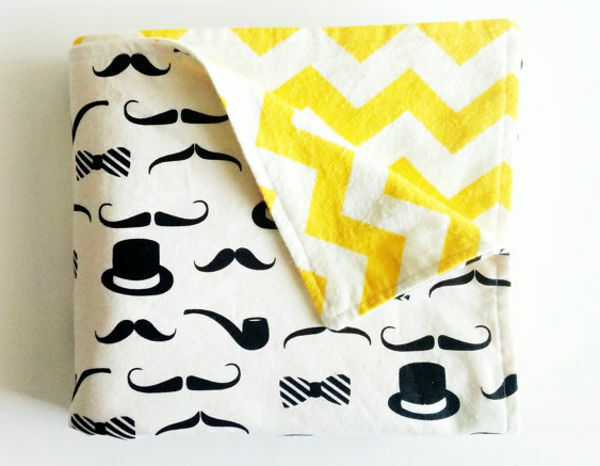 Ahh, baby blankets; synonymous with sweet snuggles, sound sleeping and nursery decorating – they are one indulgence that you never really regret purchasing in that newborn phase of life. 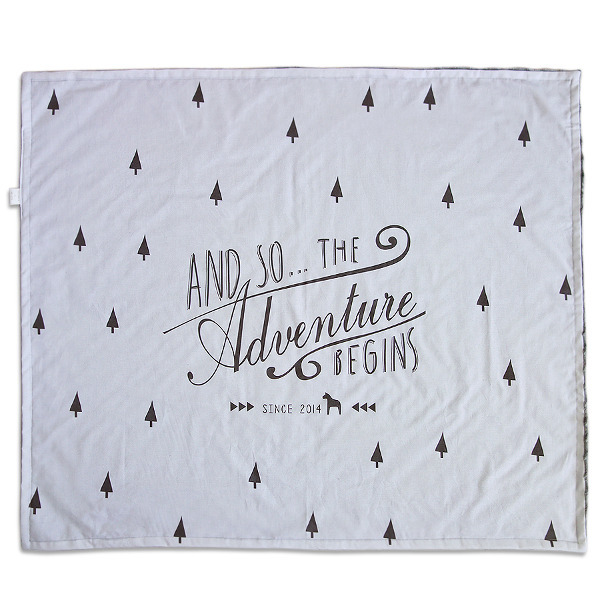 We’ve searched our archives to find the cutest and snuggliest baby blankets so they are all here in one place. Check out my current favourites. Practical and pretty, you can’t go past the stylish range of blankets and throws from Kate & Kate (pictured at the top). 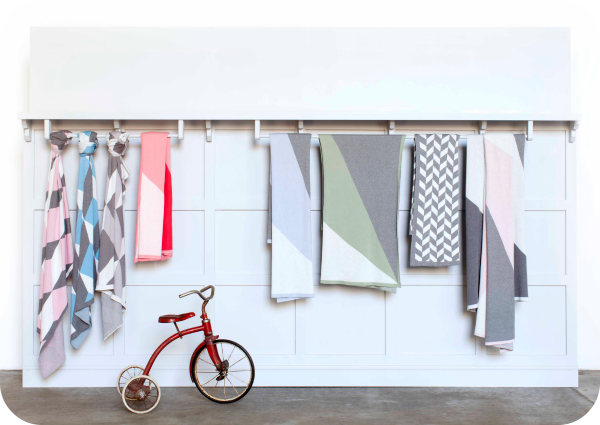 In a fresh range of colours and geometric designs, these blankets offer something different to traditional styles. 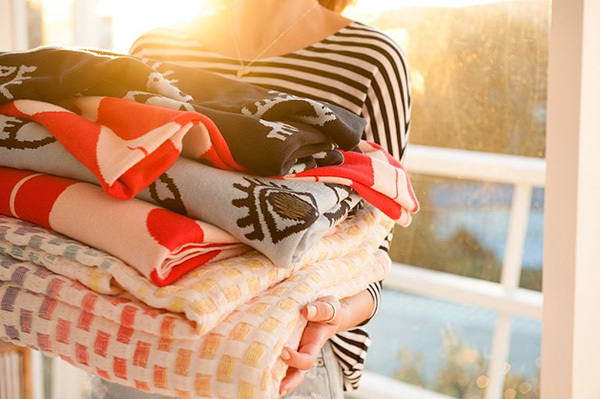 Because it makes me sweat just thinking about blankets in February, these summer weight blankets from Go Babe are a clever option for this time of year. They have modern designs in a lightweight waffle knit and are perfect for the car or pram. 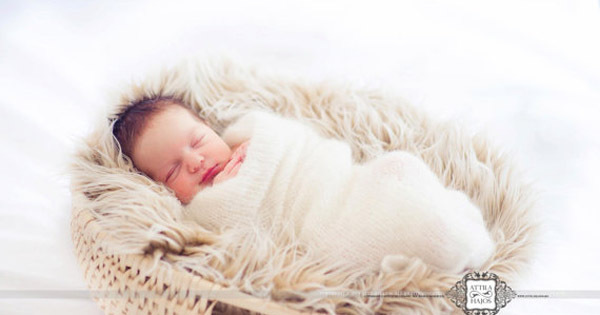 While you may not associate cashmere with babies, the blankets from Heirloom Cashmere Australia are sure to make you think again. Timeless and beautiful, their soft and breathable nature works perfectly in baby blankets and they only get better with wear and age. 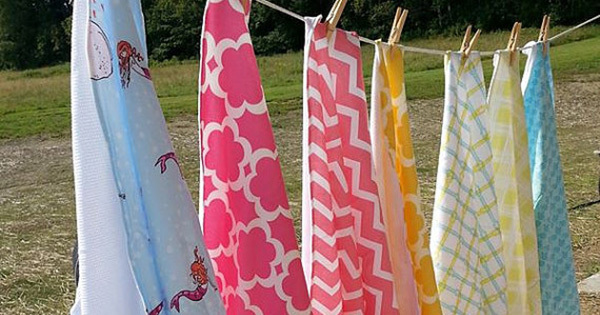 These customisable baby blankets from Designed by Artists are the definition of cool. You can create a unique piece of wearable art for your little one showcasing their name and birthdate or just the year in modern unisex hand-lettered design. Love these! Amazingly versatile and seriously stylish, the organic jersey cotton blankets from Pigpig LA are an easy win if you are looking to buy a gift. You can even buy matching leggings or beanies for the ultimate in cuteness. In a beautiful blend of 90 per cent cotton and 10 per cent cashmere, Nuvola Baby blankets are luxuriously soft but also affordable and user-friendly. 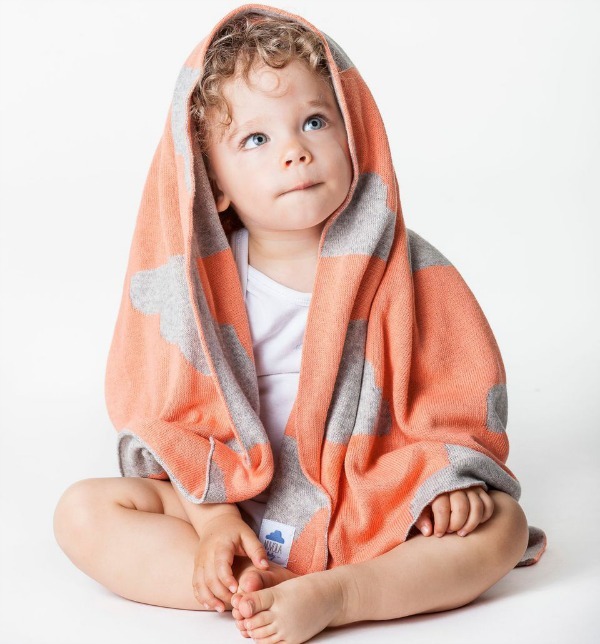 Their cloud collection of baby blankets boast rich colours like tangerine and aqua on grey so they are a bold and beautiful option for gender neutral gifts. If a little princess is soon to enter your kingdom than this is the perfect blanket to herald her arrival. 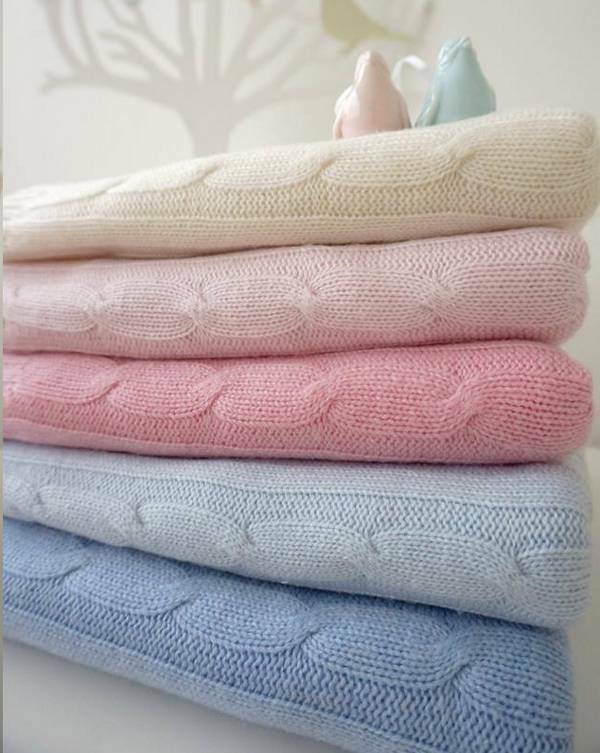 Minimink have added a pale pink baby blanket to their range and it is so sweet and soft you could quite possibly melt right into it. For a blanket that is right on trend, look no further than Lil HipStar. Sourcing the coolest fabrics around, Lil HipStar’s designs are always changing but you’re always sure to find something bright and fun. A great choice to take out and about in the stroller. The super soft cotton weave blankets from Kip & Co have bold and bright designs that are full of life and colour. Don’t just stop at a blanket – Kip & Co’s fitted cot sheets are even more fun and fabulous – the kids are sure to love them. To round out the ten, I couldn’t resist this silk mohair blanket from Etsy store, Knitting for Angels. Maybe I’m just caught up in the purity and serenity of this gorgeous picture but you have to admit, a hand knitted baby blanket made from mohair and silk does sound out of this world. Haven’t quite got your fill of baby blanket beauty? Check out our blanket round up post from last year.